The Mirage is a Sport Bottom Hopper (Deep End) design with a mirror layout. 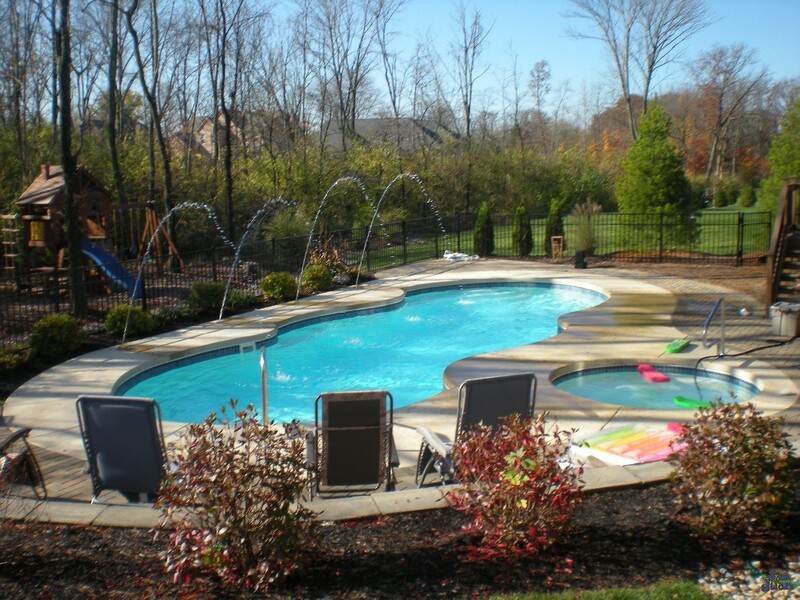 This pool is extra large with an overall length of 39′ 8″ & a modest width of 15′ 8″. 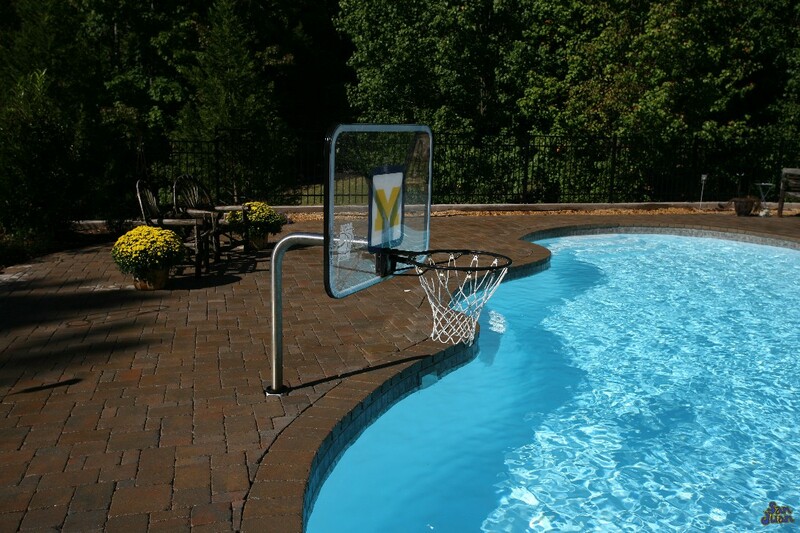 It provides a large footprint for maximum swim space and outdoor fun! 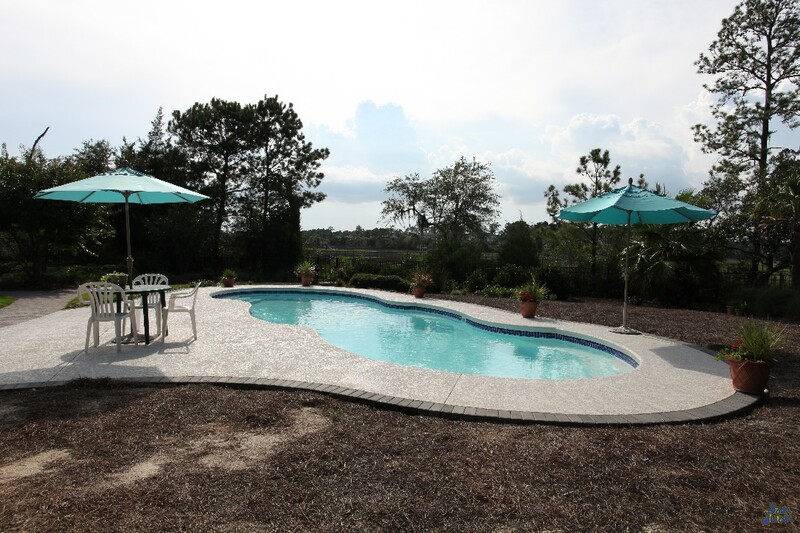 For those shopping for a larger pool model, we introduce the Mirage fiberglass pool. This modern design features an optimal length of 39′ 8″, width of 15′ 8″ & maximum depth of 5′ 4″. The Mirage is part of our Free Form family due to it’s variety of curves which house convenient deep end benches and dual entry steps. We compliment these free form curves with a Sport Bottom design. By definition, sport bottom swimming pools have shallow zones on both ends with the deep end located in the middle of the pool. Long story short, the Mirage is packed full of unique features that only a large swimming pool can contain. Our last fun twist on the Mirage is it’s Mirror Layout. As you can see from the image above, the Mirage is a complete reflection from one end to another. This provides a modern layout that is very unique and has a lot of possibilities for landscaping & furniture placement. In addition to it’s mirror layout and fun packed features, the Mirage provides ample swim space for it’s guests. It’s superior length and modest width create a great space for all forms of outdoor swim activities. Hop in for a nice set of laps before or after work, play a fun game of volleyball or marco polo. To say the least, you’ve got plenty of space to create the memories you want in this beautifully large fiberglass pool shape! 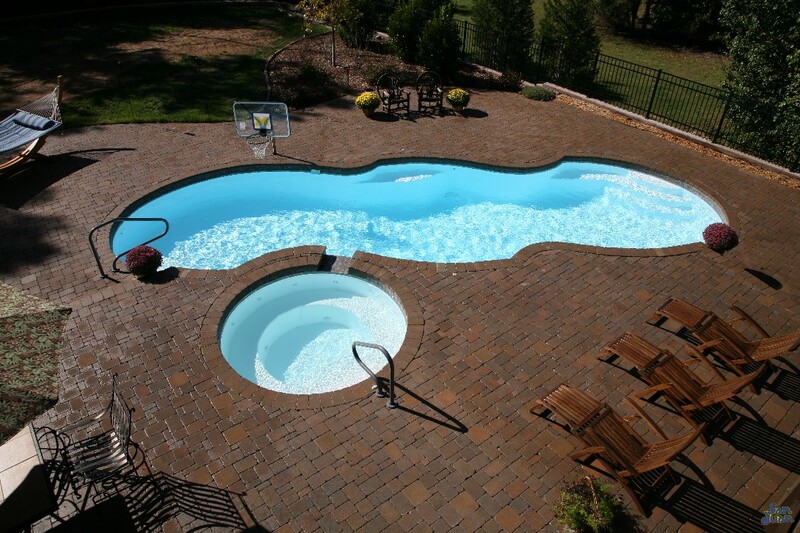 We are continually examining our pool selection and advancing our designs to match consumer demand. 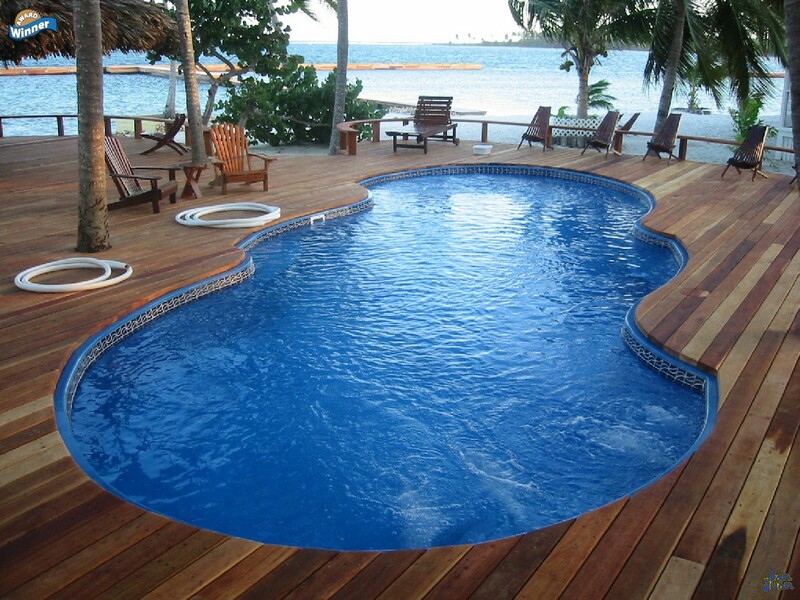 In today’s age, many home owners and builders are moving towards modern swimming pool designs. 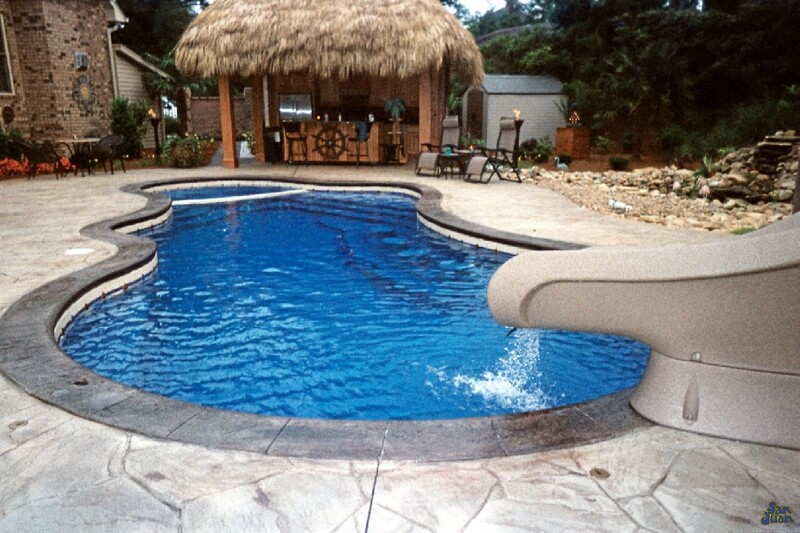 Therefore, to capture market share, San Juan Pools is pushing modern designs for all sizes of fiberglass pool shells. The Mirage is a perfect example of this initiative. If you’re looking for a fun pool shape that is designed for hours of entertainment, the Mirage is a solid choice! We also recommend adding on a fiberglass spa for added entertainment and warmth during the cold winter months.